Ross Group began business in the spring of 1994 as an IT consulting company implementing Oracle centric applications. They provide solutions to both horizontal and vertical markets, from small organizations to Fortune 500 firms, and across most industries. Ross Group has developed and matured their core ConXons J2EE application framework to rapidly develop web-enabled applications. Reynolds and Reynolds, headquartered in Dayton, Ohio, is a leading provider of software and services for car dealerships and manufacturers in US, Canada, UK, and Europe. Its Retail Management System allows dealers to streamline dealership operations and improve customer satisfaction. The company also manufactures and distributes business forms and promotional items, and provides world-class customer support. Founded in 1866, Reynolds and Reynolds has grown to more than 4,300 associates worldwide. Electrolock provides insulation materials and solutions tailored to your needs, covering composites, generators, motor coils, batteries, thermals, and more. Guiders are a simple, cost effective way to create a personalized, interactive guided search launched from any digital marketing tactic. RecruitIQ Staffing offers a better way for employers to find great people, and employees to find better jobs. Better staff, better technology, better processes. Public Insight optimizes the use of public data for analysis and research. MemVu is a social brain health platform to connect and engage families caring for a loved one with a brain health condition in a very personal way. Fully automated NGS Pipelines for Germline, Tumor/Normal (Somatic) and RNA analysis, delivering clinically validated results for diagnostic decision support. This website is for sale! giambrone.com is your first and best source for all of the information you're looking for. From general topics to more of what you would expect to find here, giambrone.com has it all. We hope you find what you are searching for! Blue Frog Gaming is an Akron, Ohio based software company that makes games. Its team of software craftsmen, artists, and game enthusiasts enjoy not only playing games, but also creating them. They have developed such games as Shadow Rift, Stardrift Empires, Starfleet Commander, etc. The small company opened its door in 2007. Prevedere cloud-based business intelligence solutions deliver unprecedented forecast accuracy by harnessing the predictive power of global economic data. National Register USA is one of the nation's leading sales recruiters nationwide placing candidates in SaaS, software, hardware, IT Consulting, Telecommunications, Medical, Pharmaceutical, B2B and many other sales disciplines. Innovative 3D telepresence technology that must be experienced to be believed! Leverage time, talent, & location and deliver expertise on demand with OmniSuite. Tailwind Technologies Inc., through its subsidiaries, designs and manufactures aircraft propeller systems for the general aviation industry in the United States and internationally. The company designs and builds constant-speed variable pitch propellers for applications in piston engines and turboprops. It also provides turbocharger systems, alternators, starters, janitrol heaters, fuel pumps, oil filters, ignition harnesses, magnetos, voltage regulators and MCUs, and a large range of other electrical components primarily for piston-engine general aviation and military aircraft sectors, as well as piston and turbine engine helicopters. In addition, the company offers bushings, sleeves, pins, and other turned components for commercial aircraft, and other tactical and transport military platforms. Further, it provides metal finishing services, including anodizing, cadmium plating, chem film, liquid penetrant inspection, magnetic particle inspection, passivation, and priming/paintings. The company serves piston engine manufacturers, airframers, and distributors. Tailwind Technologies Inc. was founded in 1986 and is based in Piqua, Ohio. Cincom Systems, Inc., is a privately held, multinational, computer technology corporation founded in 1968 by Tom Nies, Tom Richley, and Claude Bogardus. Imagry is a machine learning startup that has developed a visual recognition engine that can be embedded in any device. EmployStream's best-in-breed onboarding automation and candidate engagement platform is mobile-friendly and built to put your talent to work faster. Request a demo. Everykey is a Bluetooth device that replaces keys and passwords. It unlocks phones, laptops, tablets, house doors, car doors, and other access-controlled devices when its owner is nearby and locks them back when he walks away. The owner can freeze his Everykey if he accidentally loses it. Everykey's Military Grade Security ensures high security that prevents hackers from reading the owner's personal information. Everykey was founded in 2015, and is based in Cleveland, OH. People are our focus, insurance is our offering. 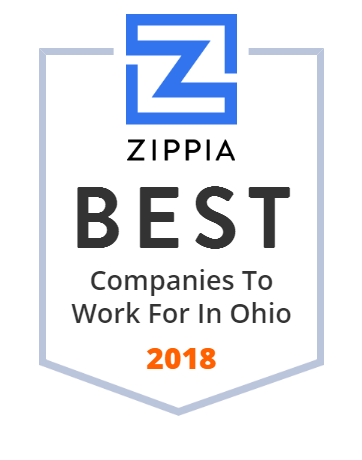 Offices in Wilmington, Chillicothe, Cincinnati, Delaware & Springboro. Comet Solutions, a software development company, provides software apps enabling manufacturers to develop product development process. Operates As A Provider Of Child Day Care Services (100%). Com Net, Inc. is a world-class wholesale provider of operation support solutions to Video, Internet and Phone (VIP) Service Providers. The Nexosis API makes it easy to add machine learning to your application. We specialize in optimizing your company by harnessing the power of a wide array of technologies to maximize efficiency and increase profitability. Home buying AI for real estate agents and their clients. At BYBE we design professional websites for local small businesses in Bournemouth, Poole and the surronding areas of Dorset. Affordable Web Design Services. Journey Systems™ offers custom pc's, notebooks and servers, that are backed by our certified technicians and a 3 years warranty. SocialMLS automates your listings to your sellers' timeline on Facebook. Create referrals, time and exposure. Your first listing is free! Tweets by @cszopf. Gively enables wedding vendors to provide branded, easy to use online gift registries for their clients. Facebook hours are 8-5 Mon.-Fri. Report outages, safety hazards at AppalachianPower.com or WV 1-800-982-4237; Va. 1-800-956-4237; TN 1-800-967-4237. Award winning workforce management software for hiring, scheduling, engaging and retaining long-term care and senior living staff. LISNR is revolutionizing data transmission with ultrasonic technology. Learn more about how data-over-sound is changing payments, retail, and mobility. MoreSteam provides online training (e-Learning) and Blended Learning support tools and technology for Lean Six Sigma, Six Sigma and process improvement individuals, organizations, and deployments. Sanctuary Software Studio, Inc. (SANCSOFT) is a professional services firm specializing in software development and digital media production. Clarivoy is the auto industry's most trusted source for optimizing the performance of marketing campaigns. Find out why BringShare is the fastest-growing internet marketing dashboard, offering Google Analytics summary, conversion and cost-per-acquisition insights. Enriching life in our communities with outstanding and innovative library services for all. ChoreMonster is a suite of web and mobile applications. Brand Thunder brings you the best Chrome and Firefox new tab themes and wallpapers available! Choose from sports, games, music, nature and more! FillTek was founded in 2001 with the vision of building a world-class eCommerce services company with a global reach. Setex, Inc. manufactures automobile car seats. The company was founded in 1987 and is based in St. Marys, Ohio. Setex, Inc. is a joint venture of Hoover Universal, Inc.. and Tachi-S Engineering Usa Inc.
Redefining Retail Experiences With Unparalleled Data & Technology Consumer Financing, eGifting, Gift Cards and Gift Registry Solutions for Brands and Retailers. Experient-A Maritz Global Events Company leads the industry as one of the best-known and most-respected brands in the event management world. Welcome to ACDL, serving Ashtabula, Geneva, and the county area through our Bookmobile! Check out all our events and services and come visit a branch today! Welcome to Acceptd, the world's largest arts network - connecting talented artists with premier arts programs. Signet Accel connects disparate data-from any system, speaking any language-to create a new standard in healthcare interoperability. Our Next Generation solutions to battling cancer help improve patient care and support real-time clinical decision making. Vertex Computer Systems is a provider of Business Analytics, SharePoint, Salesforce and ADM services. Trusted IT partner of several Fortune 500 companies. Build personalized, compelling and memorable multi-channel employee experiences using Applaud Cloud platform. Support your digital transformation, free HR for value added tasks and provide simplified 24x7 access.